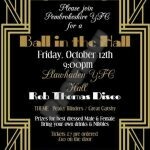 Pembrokeshire YFC Annual Ball in The hall on the 12th of October! Prizes for best dressed male & female. bring your own drinks & nibbles!! 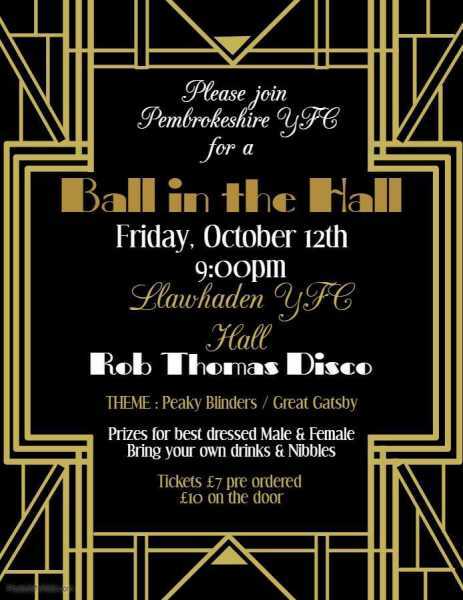 Due to the AMBER WEATHER WARNINGS around Pembrokeshire today we’ve taken the decision to RESCHEDULE tonight’s Ball in the Hall. ALL pre-ordered tickets will be honoured for the new date but the COUNTY OFFICIALS have decided that personal Safety is Paramount. 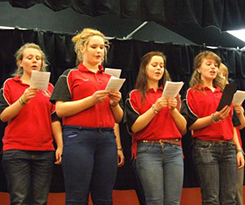 We will update you next week with the new date.